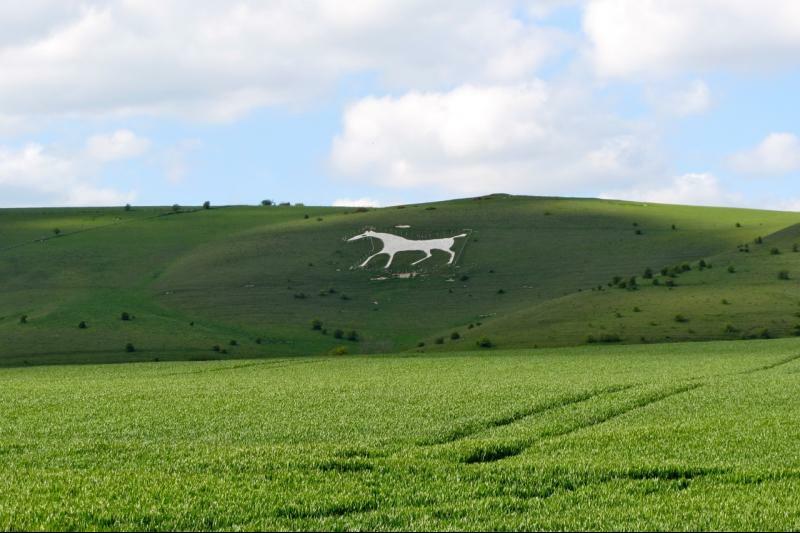 Saddle up for all 8 Wiltshire white horses in one day! Out of the gates at Marlborough, we'll warm up by heading north to Broad Hinton, passing horse #1, the Hackpen horse, onto Broad Town for horse #2. 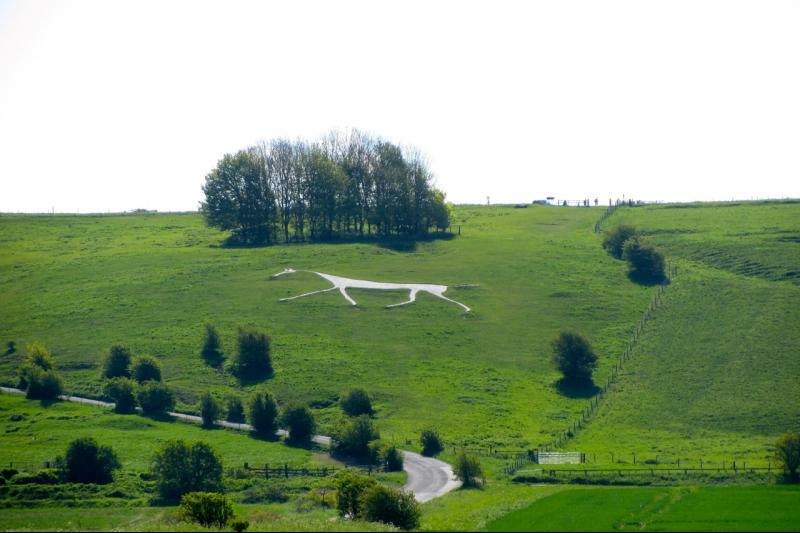 Turning south to Cherhill, horse #3 and over the hill to Devizes, horse #4, the youngest of them all. A nosebag or 2 for lunch and then we need to gallop out west to #5, the most famous of the herd at Westbury. 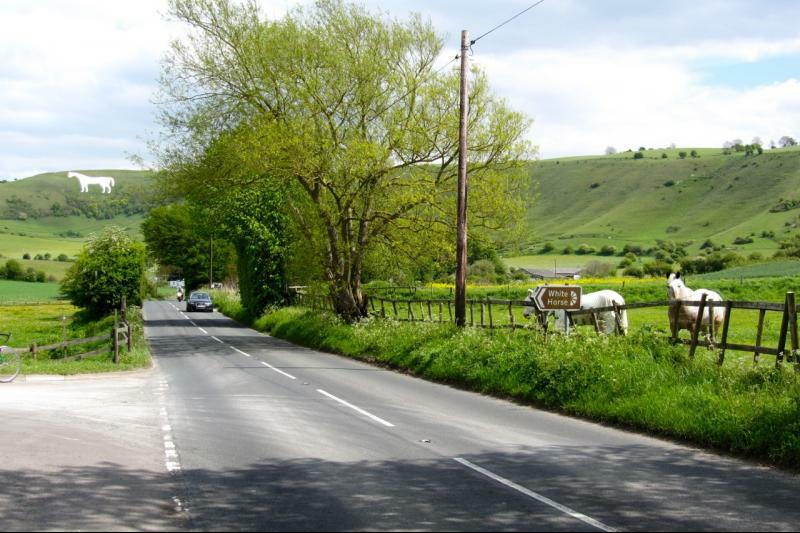 On to Pewsey, horse #6, spurred on by the thought of afternoon tea (sugar lump anyone?). 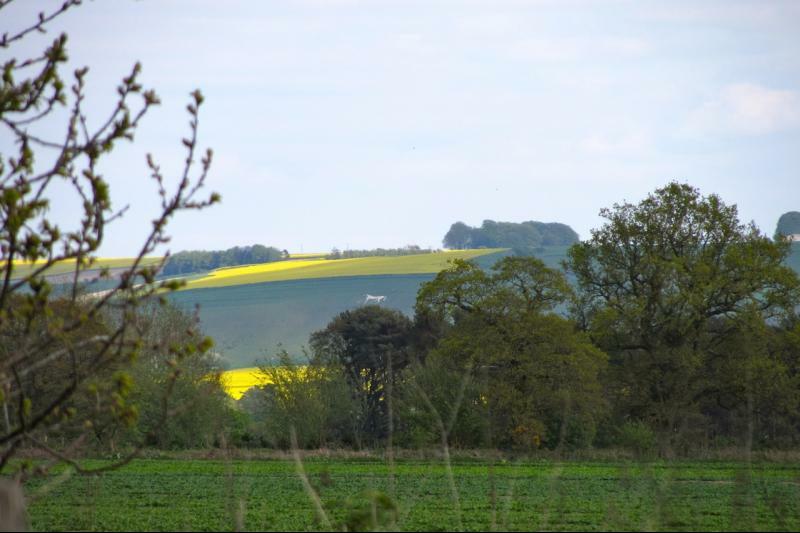 Then just a (relatively) short trot to Alton Barnes, #7, and the final furlong to Marlborough via Preshute, #8. Yee haa! 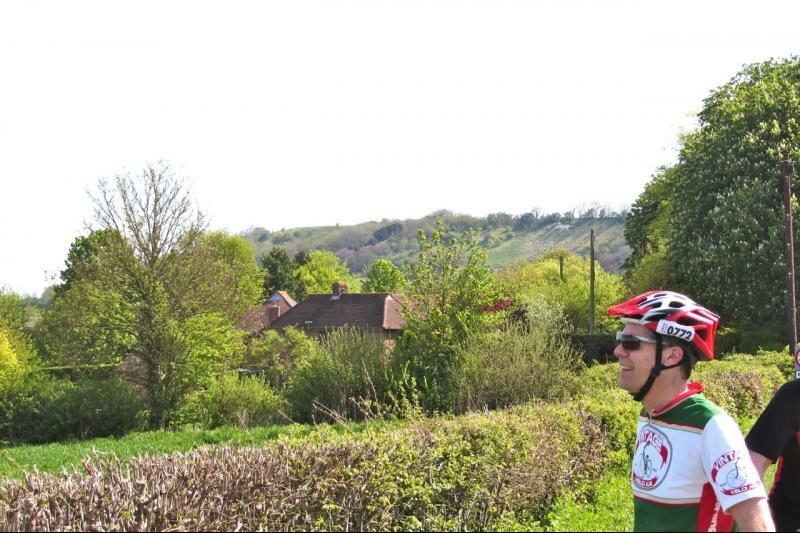 Climbs of note: #1 out of Marlborough, #2 after Cherhill, #3 out of Alton Barnes. It'll be a challenge (120 km) but it's all doable at a steady pace to stay the course. Please let me know if you are up for it by early Saturday evening. Lunch at The Raven, Poulshot - selection of baguettes, pub grub, full-on roast if you can handle the ride afterwards! Afternoon tea most likely at Woodborough Garden Centre. 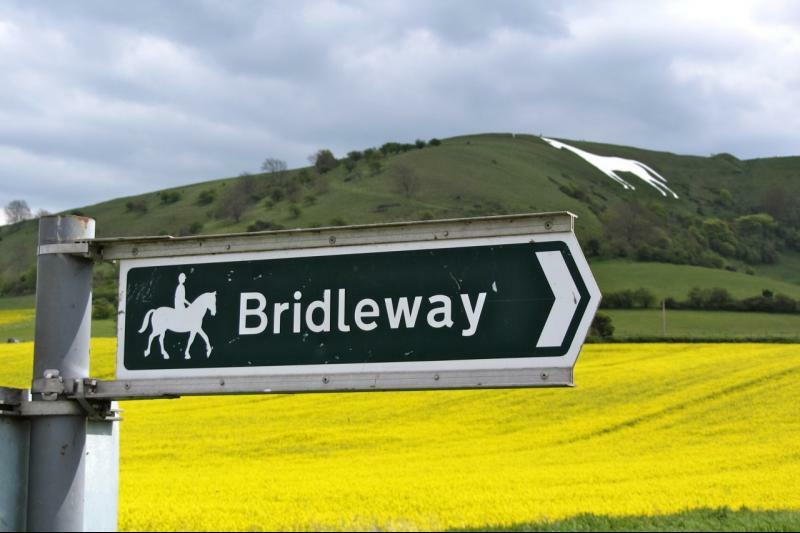 Please note: bridleway section from Bratton to Westbury - metalled but potholed - option to use B3008 instead and retrace steps after. Also, tiny section of bridleway into Marlborough - hard surface - option to return on A4 otherwise. The Magnificent Ten rode out of Marlborough in brilliant sunshine and white horses #1 & #2 were soon dispatched. There was a bit of head-wind on the way to horse #3 at Cherhill, nothing too serious. The long climb up to and past North Wilts Golf Course was quickly overcome only to be met by what seemed an eternity waiting for the man with the stop/go board at road works on the A361 junction. 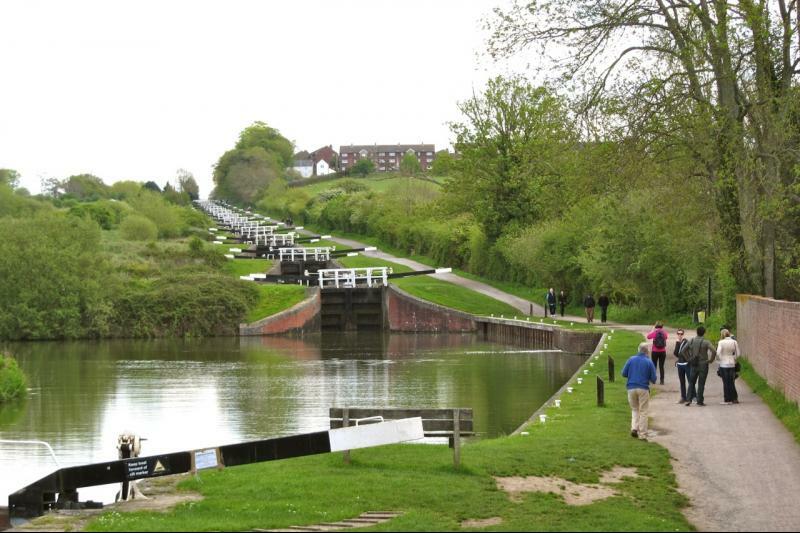 We skirted around Devizes for horse #4 but as we stopped for a photo opportunity at the bottom of Caen Hill Locks, Nick decided to put a little extra air in his rear tyre only for the valve to disintegrate and require a new tube fitting. Not a problem, we were soon sitting in the garden of The Raven at Poulshot enjoying a well-earned rest and delicious food, shame we couldn't really take advantage of the real-ales straight from the barrels behind the bar! Cruising from The Raven to Westbury we met another cyclist who turned out to be an ex-PR man for the CTC some years ago. 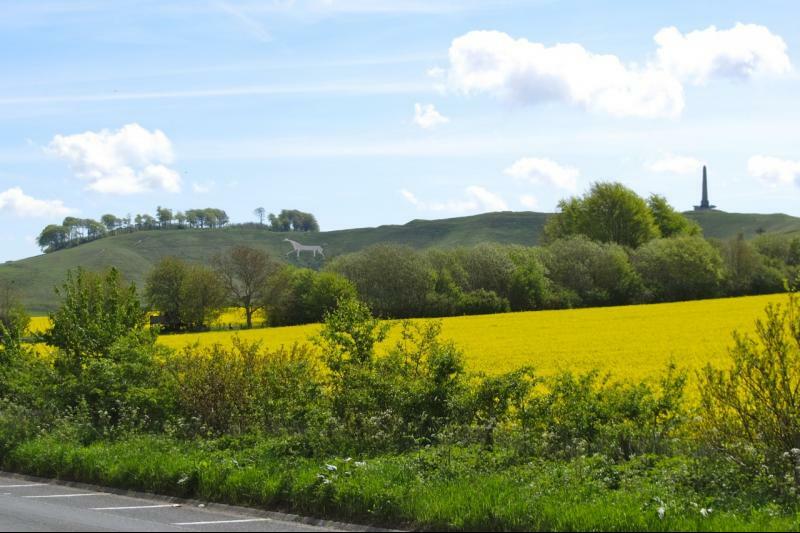 As he headed off up the hill to the top of the Westbury white horse, we chose to take the potholed track along to the viewpoint car park for it instead before heading towards Pewsey. Luckily we now had a bit of a tailwind along the undulating section to Market Lavington. We were just in time for a much needed break at Woodborough Garden Centre where we were served excellent tea and cakes, two pieces for some of us! 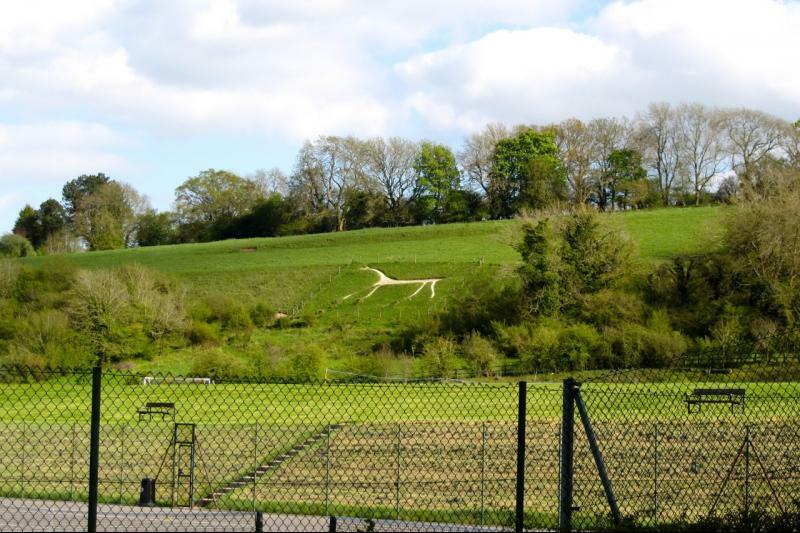 From Woodborough we headed towards Pewsey for a short distance to catch a glimpse of the Pewsey white horse through the trees before heading to the last real climb of the day at Alton Barnes which was effortlessly surmounted by the whole group. 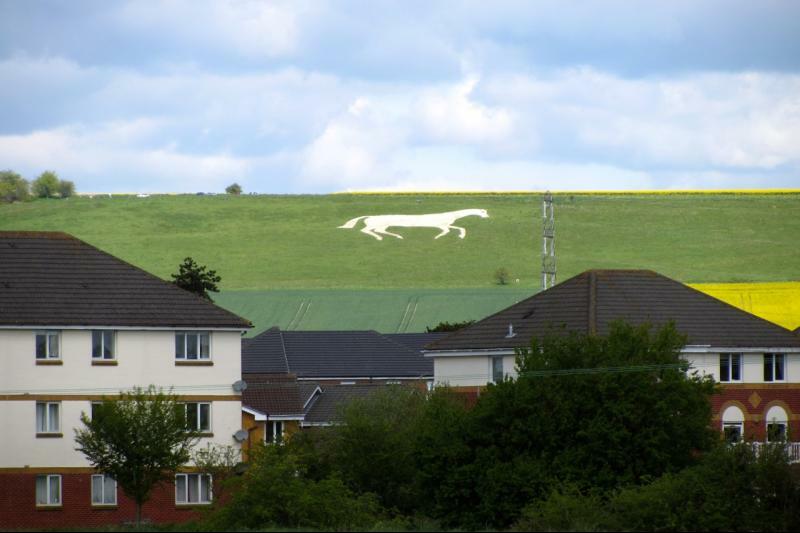 We then made great time back to Marlborough and the last (off-)white horse and the car park. Thanks to everyone for coming along and helping to make it an enjoyable day. We enjoyed setting the route...look forward to The Magnificent Ten Ride Again!